The NCLAT had said if the orders are not passed by February 11, it would result in them taking over the proceedings. According to legal eagles, the SC’s rejection of the operational creditors plea means that the NCLT will have to approve ArcelorMittal's bid. 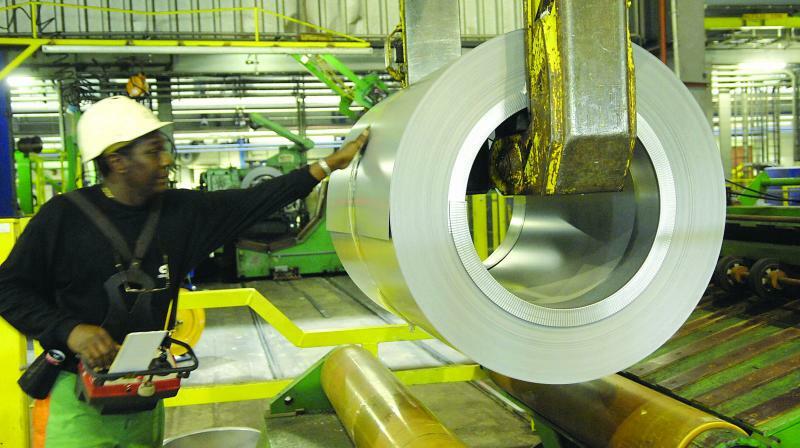 Mumbai: The decks have been cleared for ArcelorMittal to acquire debt-ridden Essar Steel. The Supreme Court on Monday rejected the plea by the operational creditors of Essar Steel for a stay on the National Company Law Appellate Tribunal (NCLAT) order that asked the NCLT Ahmedabad to take a decision on bids selection by February 11. The NCLAT had said if the orders are not passed by February 11, it would result in them taking over the proceedings. The petition before the National Company Law Tribunal (NCLT) was moved on February 1 by the former managing director of Essar Steel Dilip Oommen, along with its project director Rajiv Kumar Bhatnagar, as well as Revant Ruia. This fresh move by the Essar Steel directors came after the NCLT-Ahmedabad had on January 29 rejected the bids put forth by the Essar Steel Asia Holdings (the holding company of Essar Steel that was controlled by the Ruias) proposing to the committee of creditors upfront payment of Rs 54,389 crore to retake the management of Essar Steel. Their bid was higher by Rs 12,000 crore than the bid proposed by ArcelorMittal at Rs 42,000 crore. The proposal of the Ruias was sent on the day when the committee of creditors of Essar Steel concluded its e-voting with more than 90 per cent of the votes cast in favour of the ArcelorMittal bid, which was the only eligible bid. According to the Supreme Court, the Essar Steel promoters are acting through operational creditors, people and proxies to delay the process, as it has been 571 days since the start of the insolvency proceedings. Earlier on January 3, NCLAT had asked the Ahmedabad bench of the NCLT to take an early decision in the insolvency case of Essar Steel as per the order passed by the Supreme Court where ArcelorMittal emerged as the highest bidder.